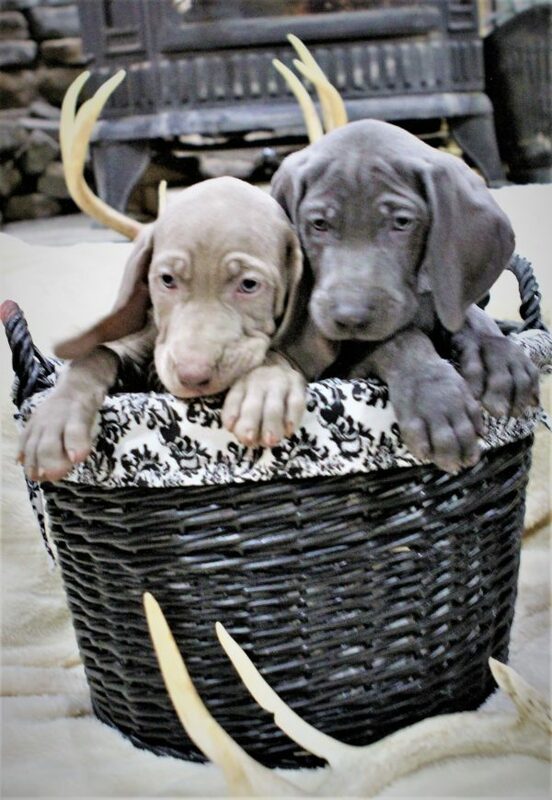 We are happy to announce the litter born from our Gracie & Sterling’s born on December 7th. 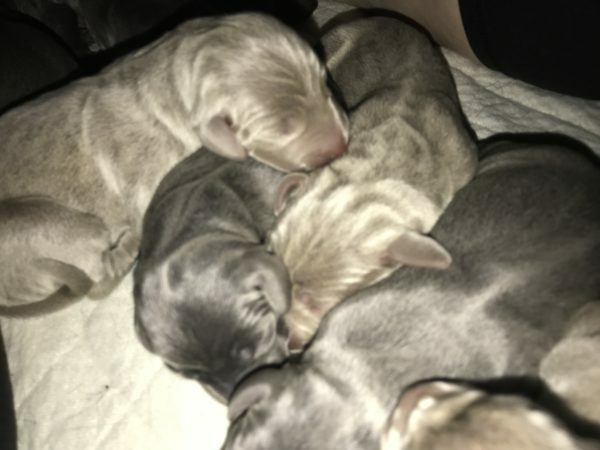 There are 10 puppies in this litter (2 Silver Male, 5 Silver Females. 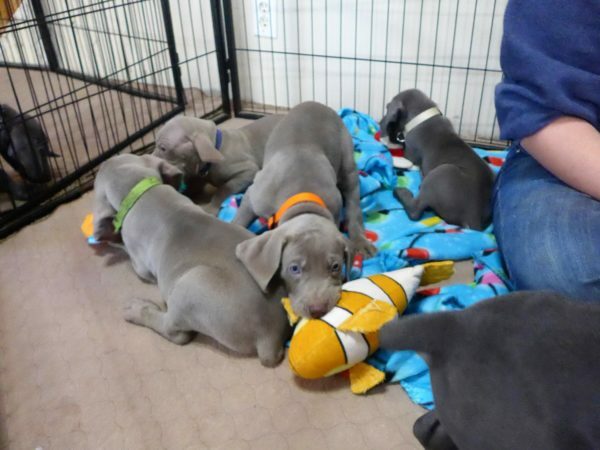 4 Blue Males and 0 Blue Female). 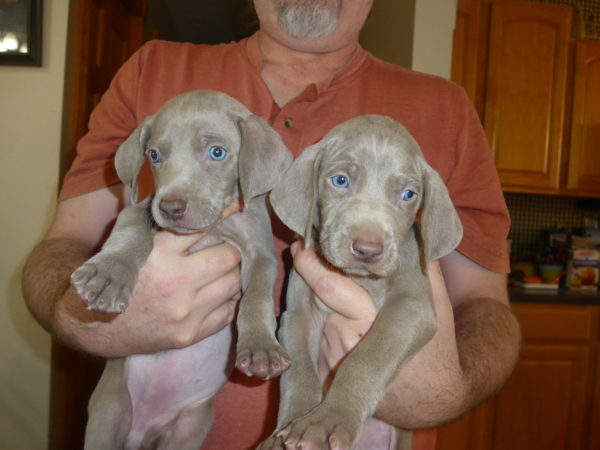 We currently have a Silver Weimaraner (Red Collar) girl available, due to my surgery I got behind on listings. 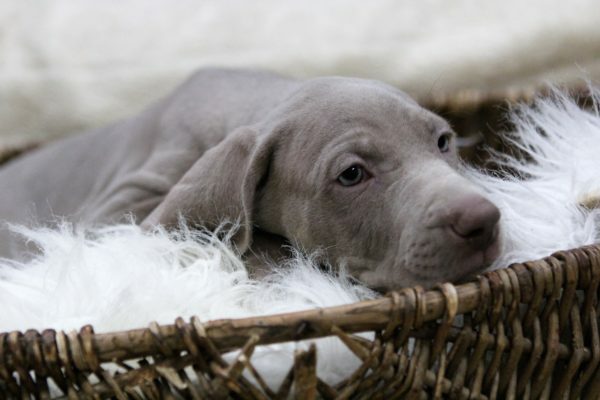 She is adorable and a very sweet girl. We started potty training with her and she loves being outside and playing with the other dogs. I have reduced her price to $800 to ensure she goes home to her family soon. 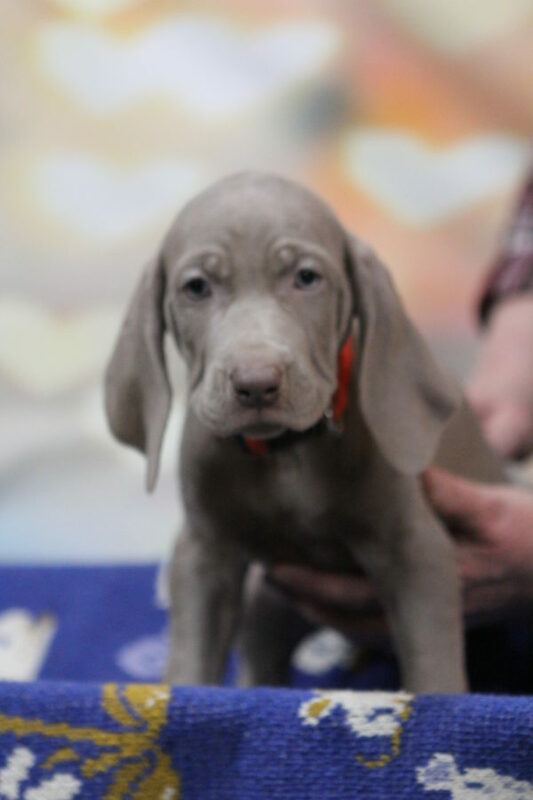 Call today to schedule a time to come and meet her. 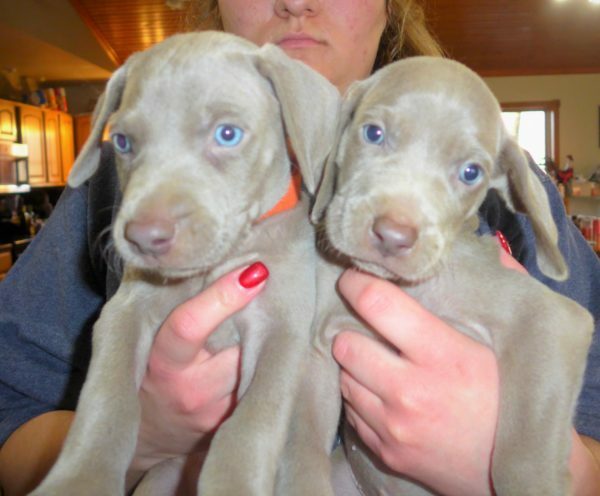 If you would like to reserve her or have additional questions please give me a call at 812-709-1839. 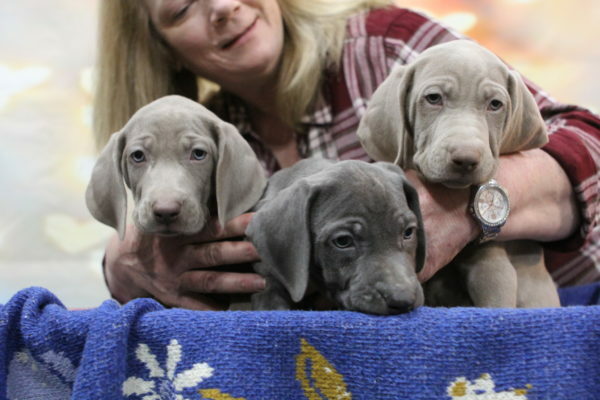 We do weekly videos of the puppies so you can watch your puppy grow. 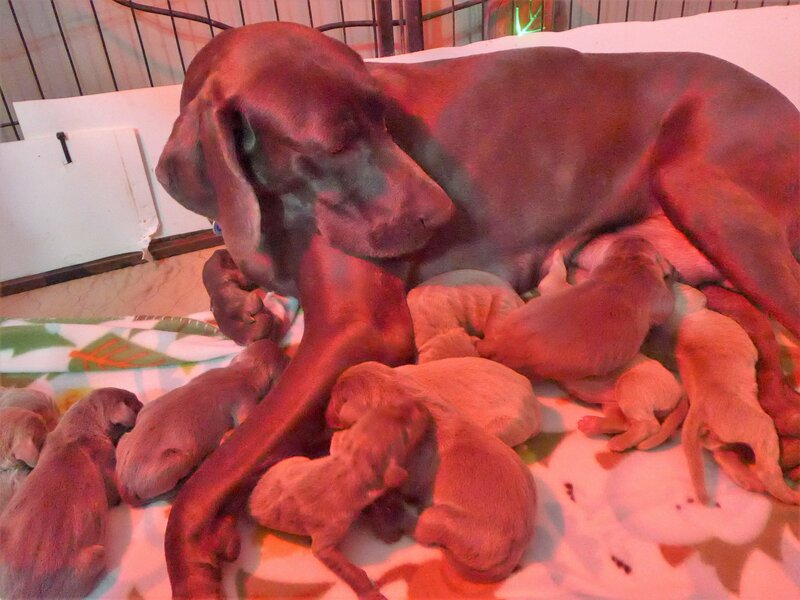 We will update this page weekly with new videos and photos of this litter. 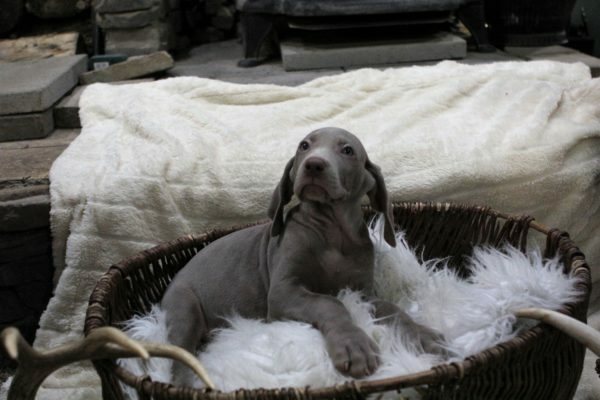 Our Gracie is a beautiful Big Blue Weimaraner. 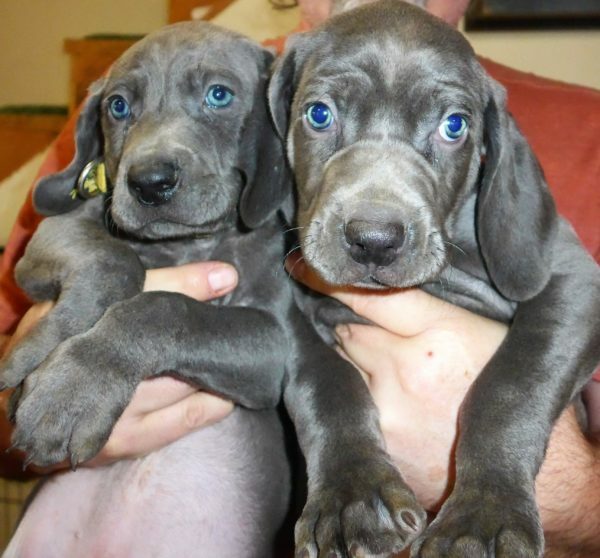 She has a muscular build and excellent conformation. 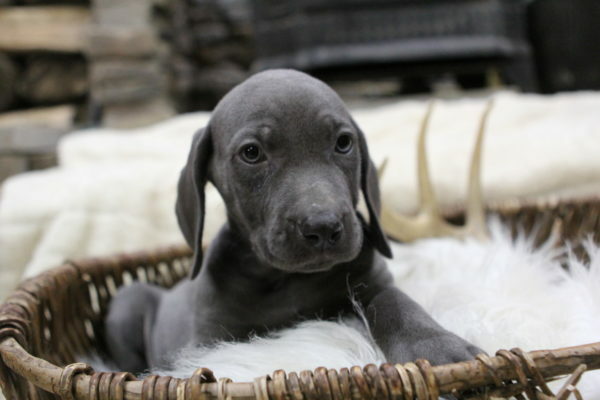 She is a very sweet and loyal girl with a lot of personality. 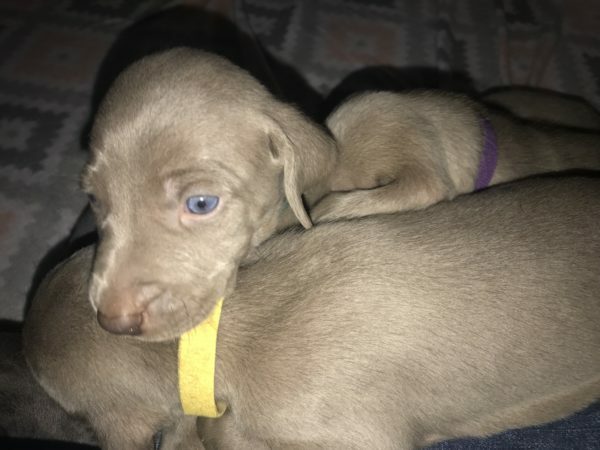 She is amazing and has that elegant Blue Weimaraner coat that shines and with those beautiful Amber color eyes, she is stunning. 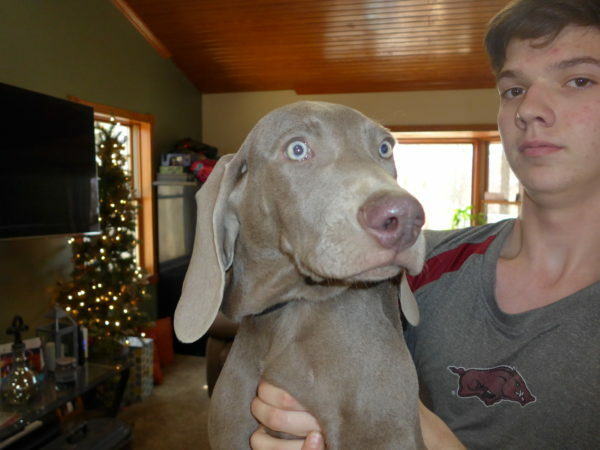 Gracie loves to give kisses and is very affectionate. Sterling was our stud dog for this litter. 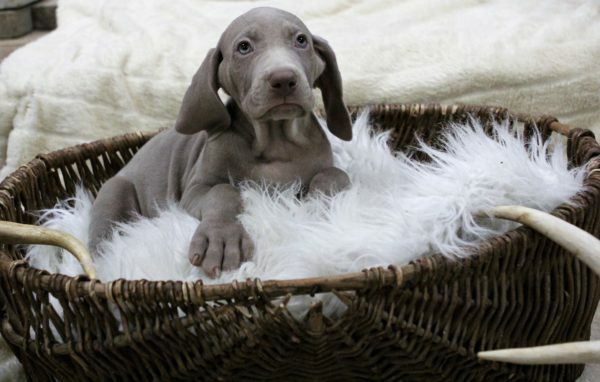 Sterling is a impressive Silver Weimaraner. 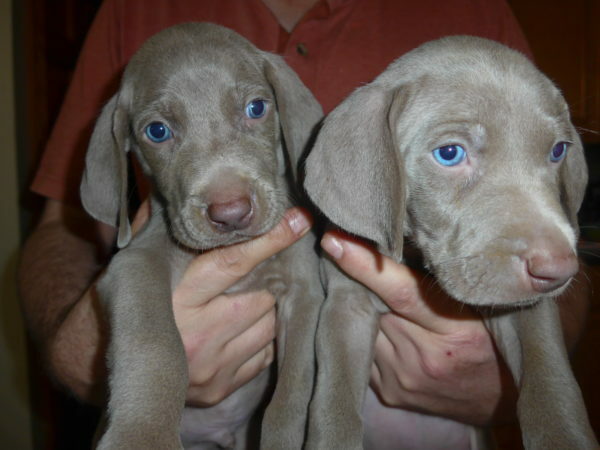 He is a big Weimaraner with excellent conformation. 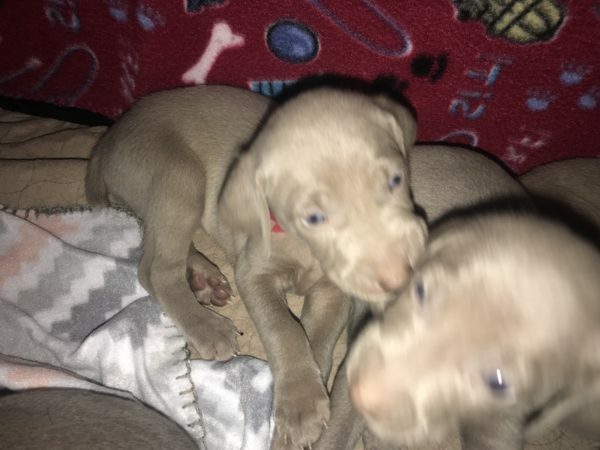 Sterling has AKC champion bloodlines, and with his pedigree, we are anticipating puppies that are intelligent, have great confirmation, and very loyal family members. 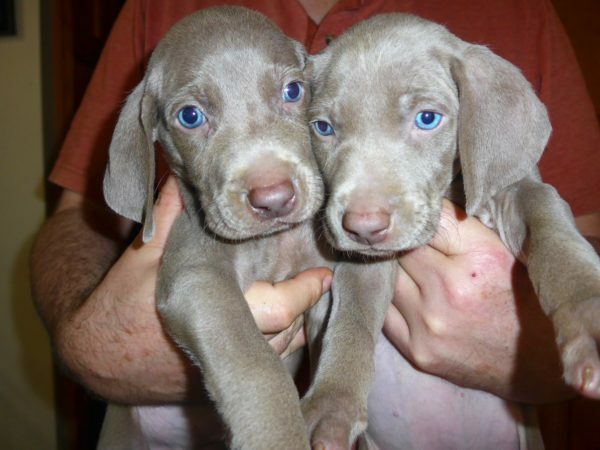 This litter has both Blue & Silver Weimaraner pups. 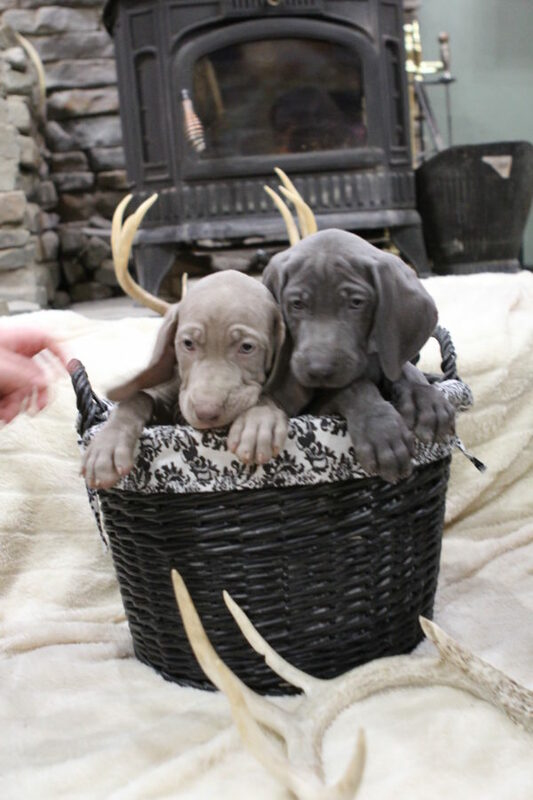 With the proper training and environment, these pups will have the potential to become serious hunters, field trial dogs, champions in the show ring or just that perfect family companion. 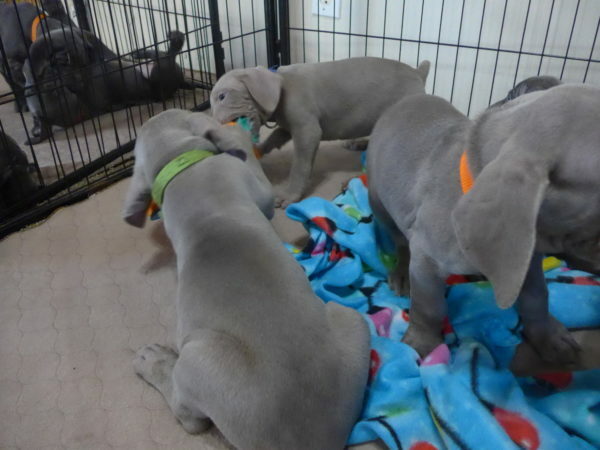 We will post a litter photos of the puppies. 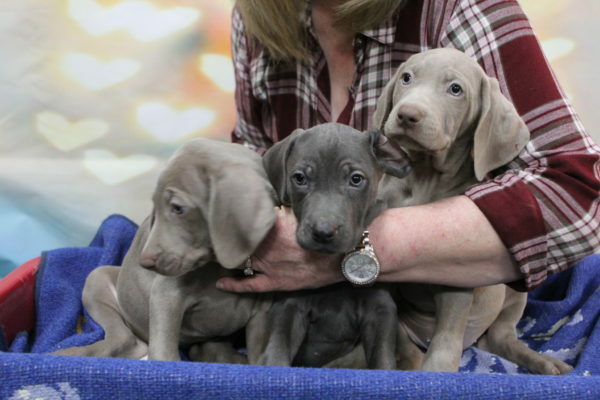 We also take a weekly video of our pups to make sure you’re not missing out on anything during this exciting time. We do our best to make this a fun family experience that you will never forget. Our clients love the pics and video and are always looking forward to the next one. 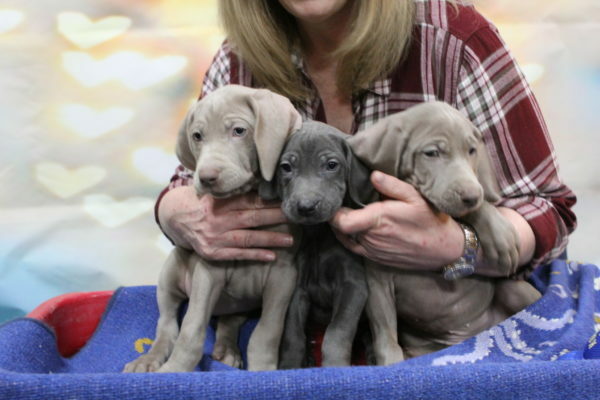 The videos give you lots of good info and really help you and your family out when it comes to week 8 when it’s your time to pick out your new family member. 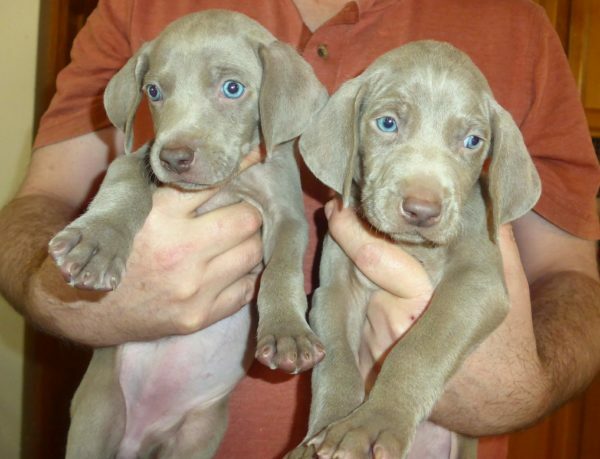 When reserving your puppy please let us know if you prefer a Blue Weimaraner puppy or a Silver Weimaraner puppy. 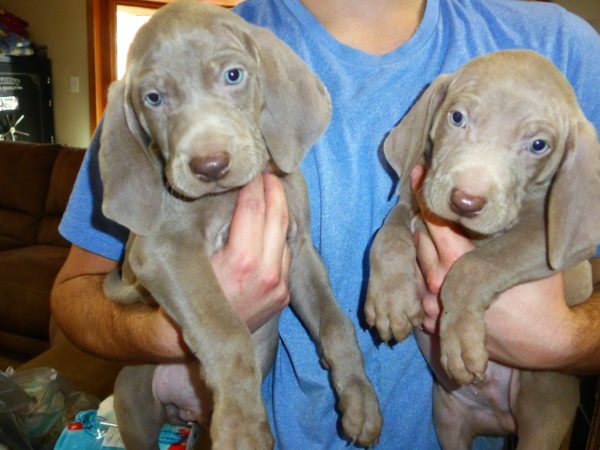 Puppies will be available to go home anytime. 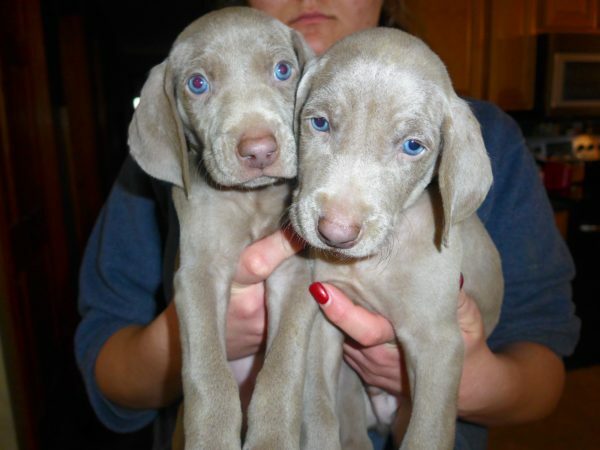 To schedule a appointment to see the puppies please give me a call at 812-709-1839. We accept credit cards, debit cards, PayPal, and cash. If you have any questions, please give us a call or email.